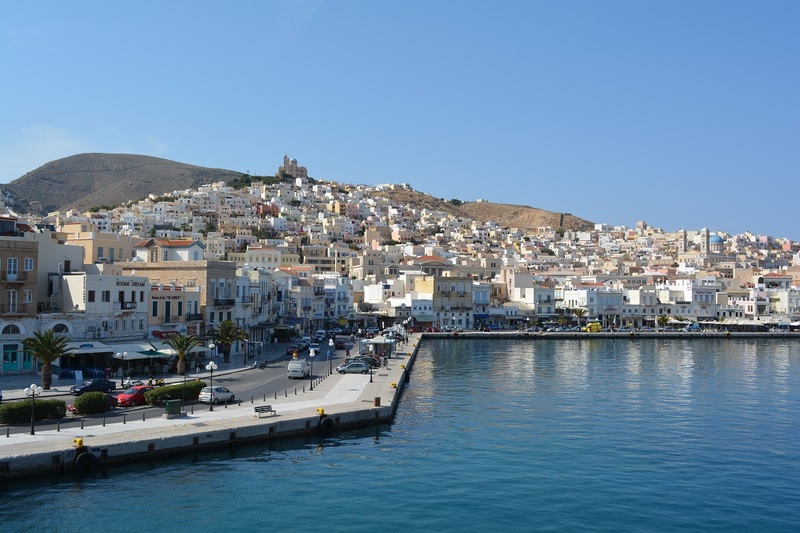 I found Syros island to be quite unique in comparison to its sister Cycladic isles. I was most impressed by its history which has contributed to its outright elegance today. Here’s my photo tour and some facts about this beautiful island. 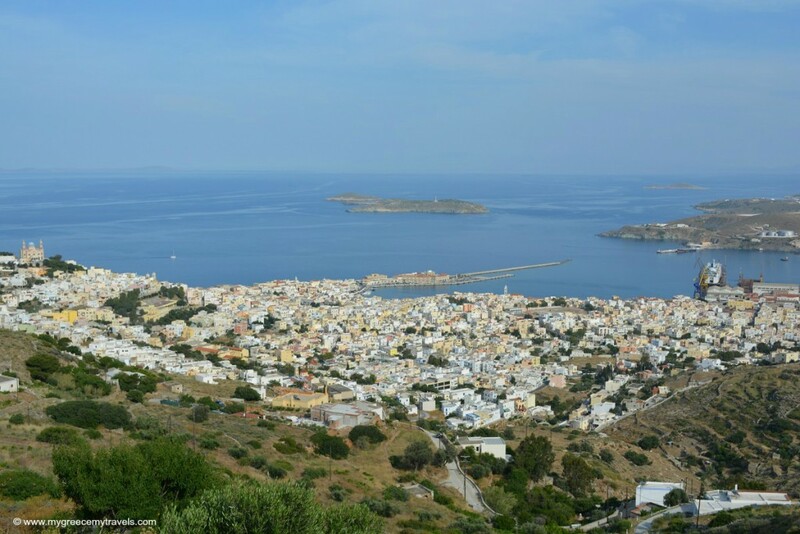 Ermoupoli is the capital of Syros. In Greek, it means the city of Hermes. 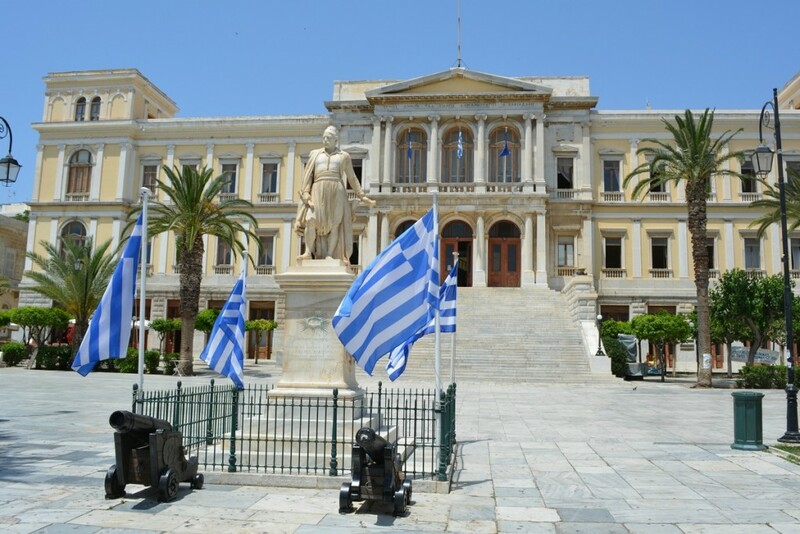 Greek history buffs will be the first to point out that the island had a wonderful heyday the 19th century as the first important trade and industrial center in Greece. It was the place to be and to be seen. Who wouldn’t want to be seen on streets like these? 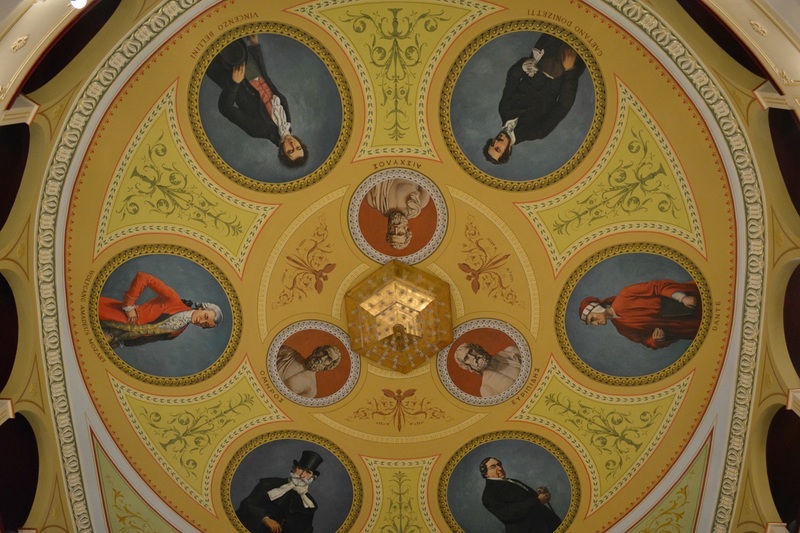 The neoclassical architecture was impressive. So were the unexpected views of the island’s hills. I walked along the port to take in beautiful views like this. Here was the view I enjoyed from my hotel room at the Syrou Melathon, located in an area called the Vaporia district. More of the island’s rich past can be seen in the main public gathering places including city hall, Miaouli Square and the Apollo Theatre. These sights were all within walking distance of each other, right behind the harbor in Ermoupoli. 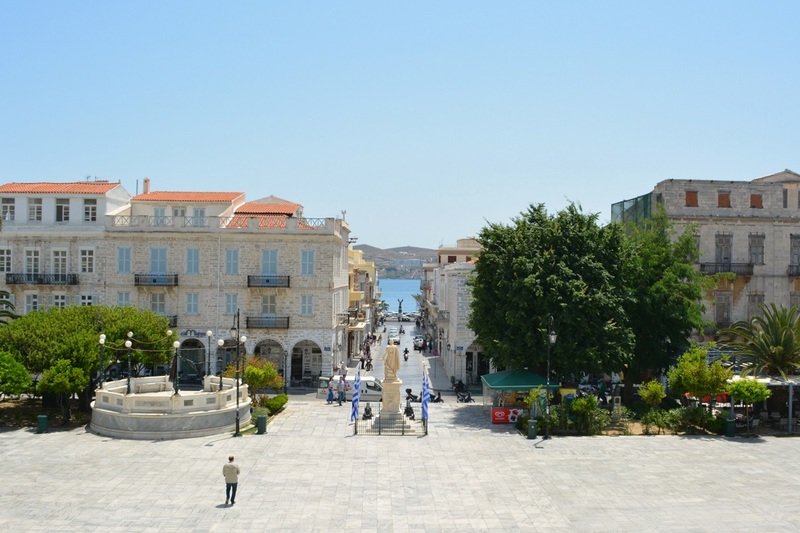 Miaouli Square view towards the port, from the steps of city hall. The Apollo Theater, also known as La Piccola Scala, was constructed between 1862-1864. 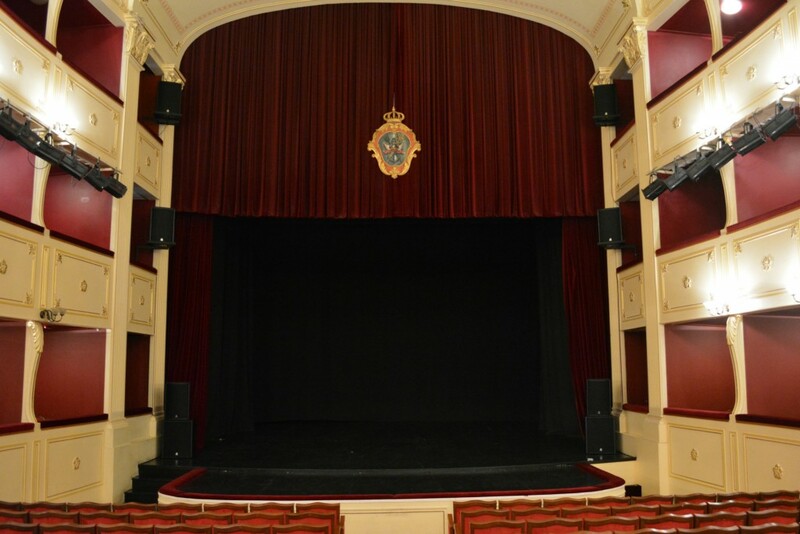 Many international festivals schedule performances here. 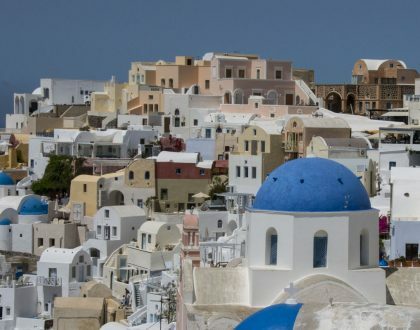 Throughout history the Roman Catholic and Greek Orthodox community has coexisted on the island pretty peacefully. 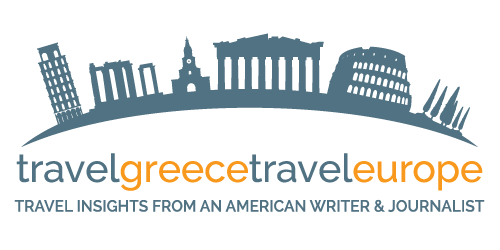 (Greece is a Greek Orthodox state.) 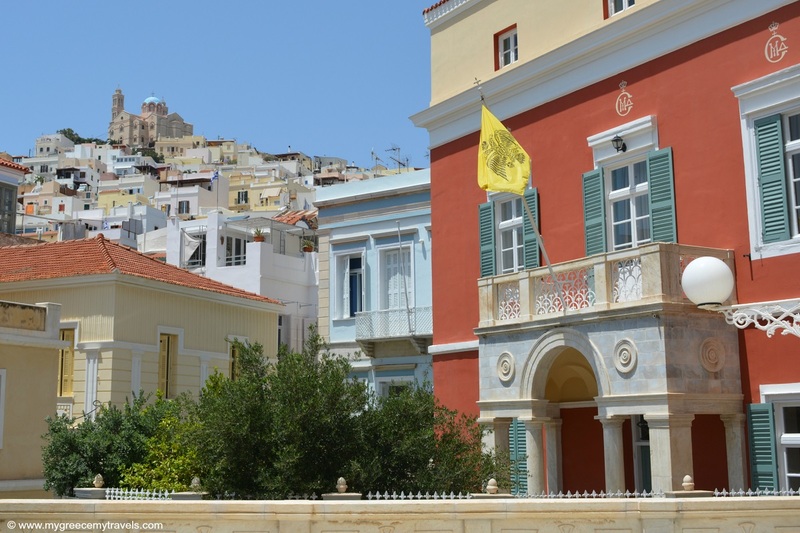 In fact, Syros still has a sizable Roman Catholic community. Churches from both religions dotted the island landscape. 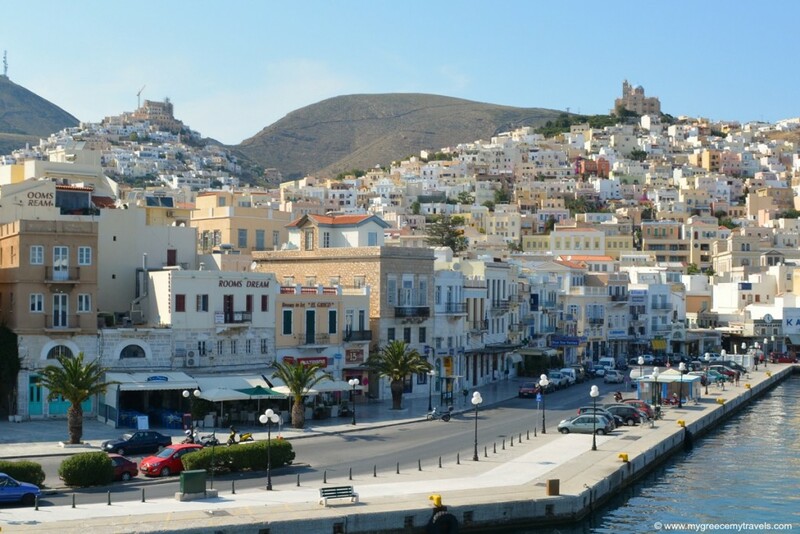 Head up to Ano Syros, which means Upper Syros, to walk through the narrow streets of the old town. St. George’s Cathedral is up there and so are some open spaces with breathtaking views of the island. 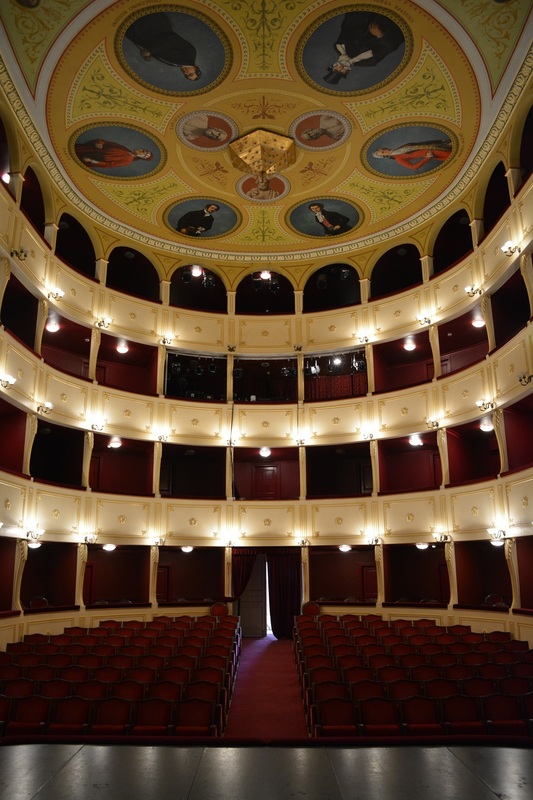 Syros is significant in the traditional Greek music scene. 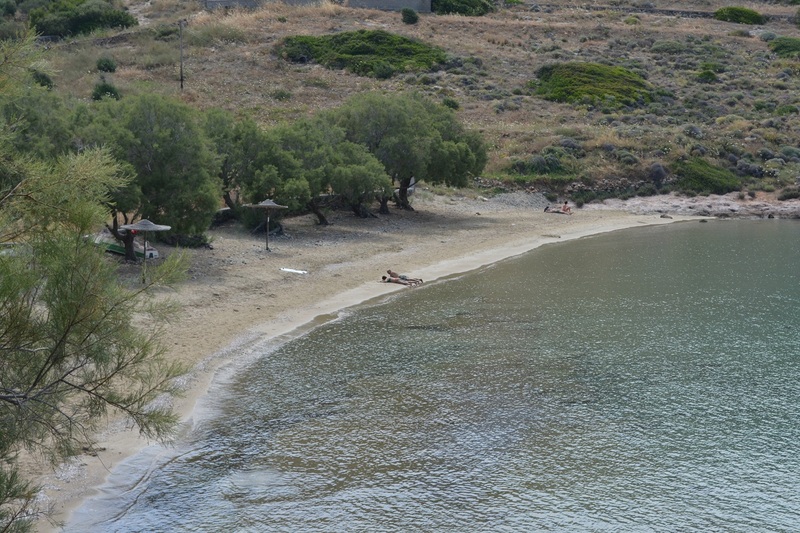 The island was the home of Markos Vamvakaris, a very famous rembetika player. He wrote “Frankosyrianni” one of the most popular Greek songs. 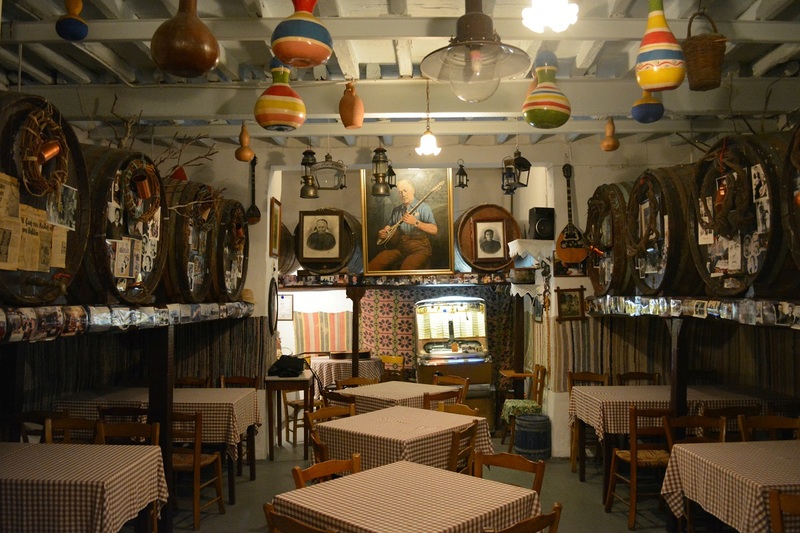 Here’s a peek at the old dining area of Lili’s Tavern in Ano Syros, a space that clearly pays homage to the island’s musical heritage. 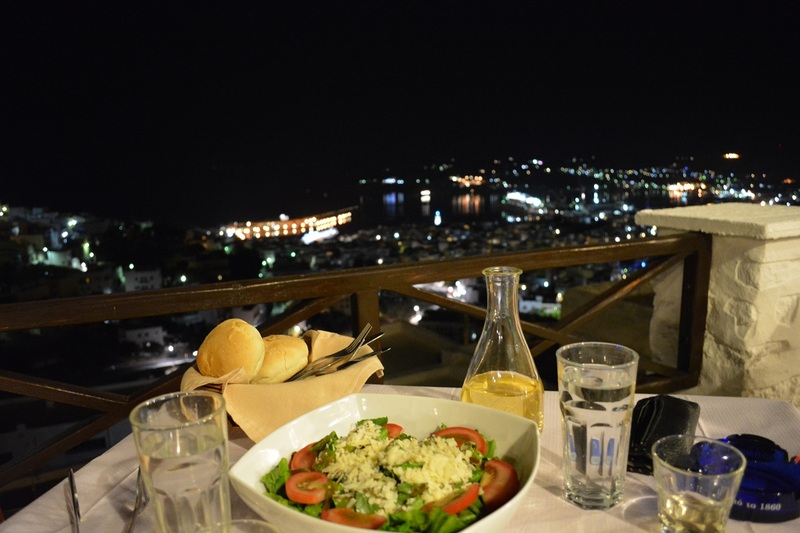 Here’s a photo from the balcony of Lili’s Tavern overlooking Ermoupoli. 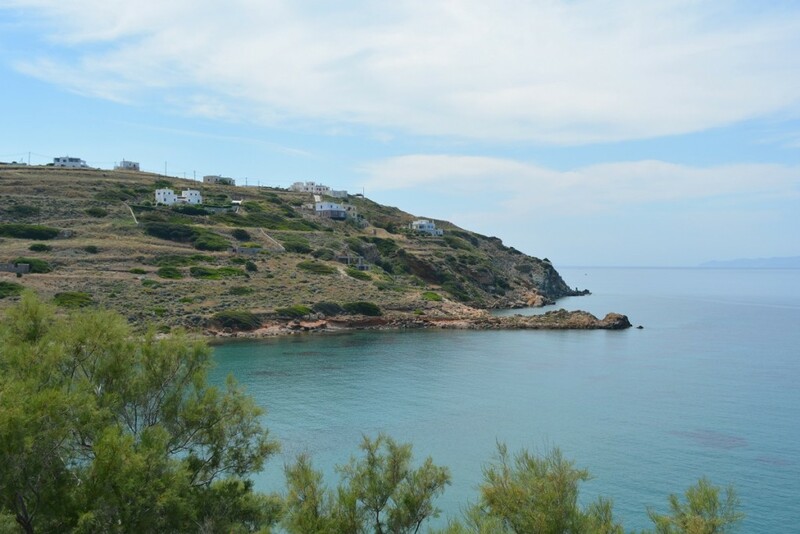 Lili’s is one of the oldest and most respected Greek taverns on the island with amazing food and well, you can see the view. In fact, Syros has a really great foodie scene. 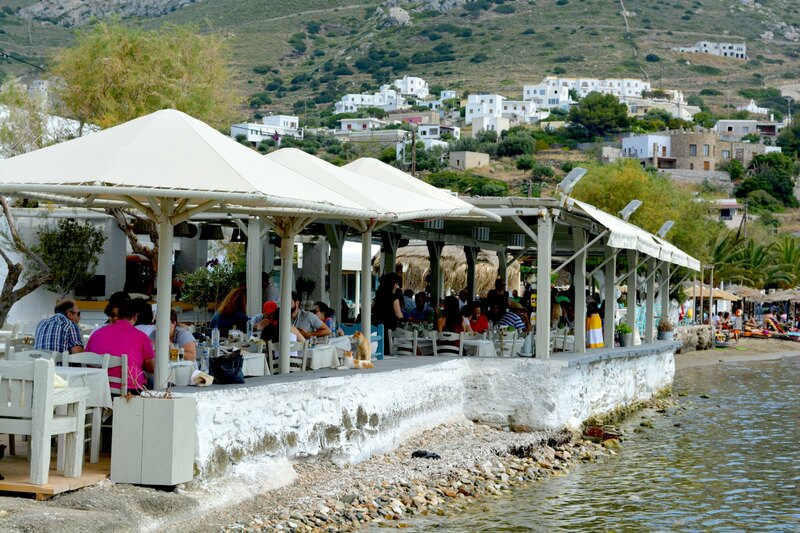 I reviewed many restaurants writing for the Fodor’s Greek Island travel book, and I loved the combination of great cuisine, atmosphere and hospitality. 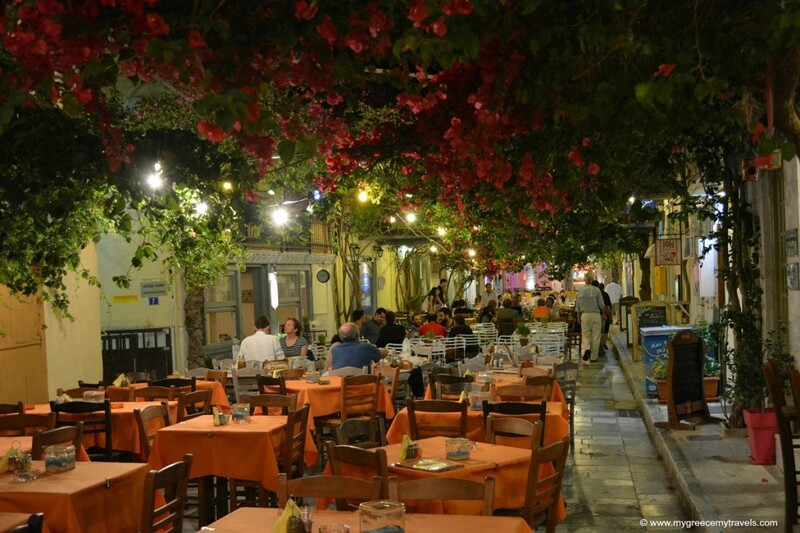 Look at how scenic this outdoor dining street is in Ermoupoli! 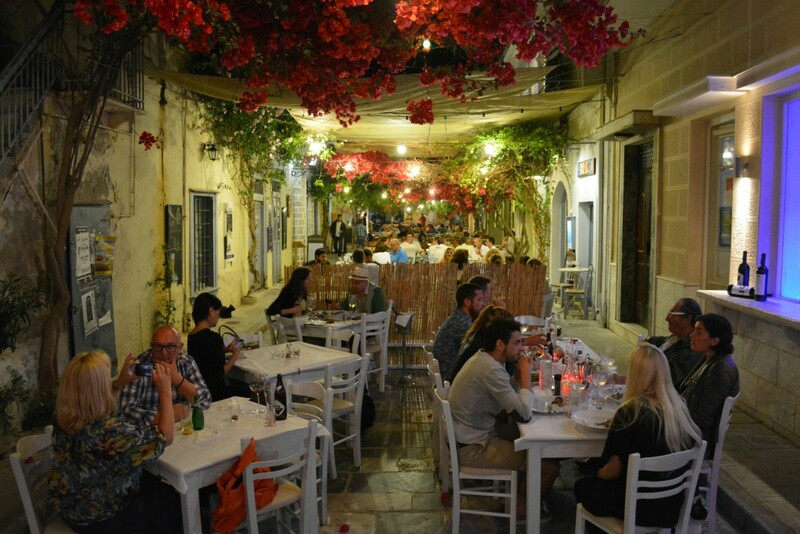 I loved the Mediterranean dishes at Kouzina in Ermoupoli. Kouzina is the other side of the street above, on Androu Street. So, let’s head to the beaches. 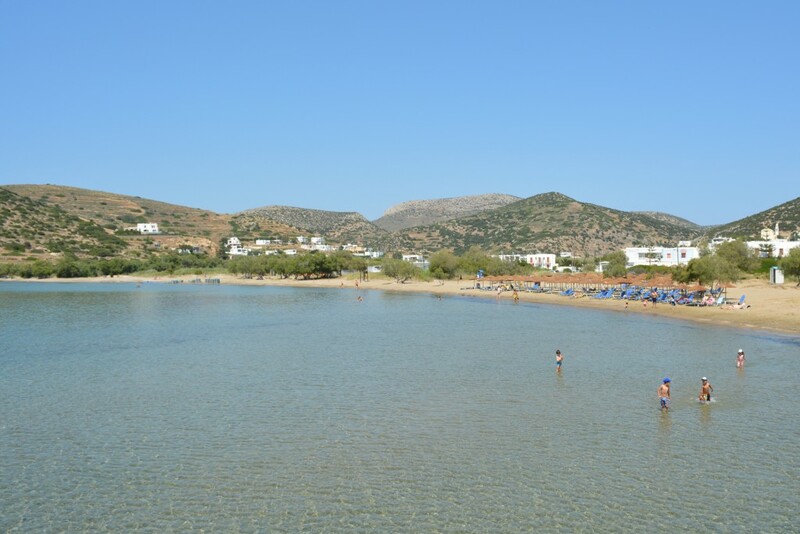 Like its sister Cyclades, you can find some beauties. Just take your pick. 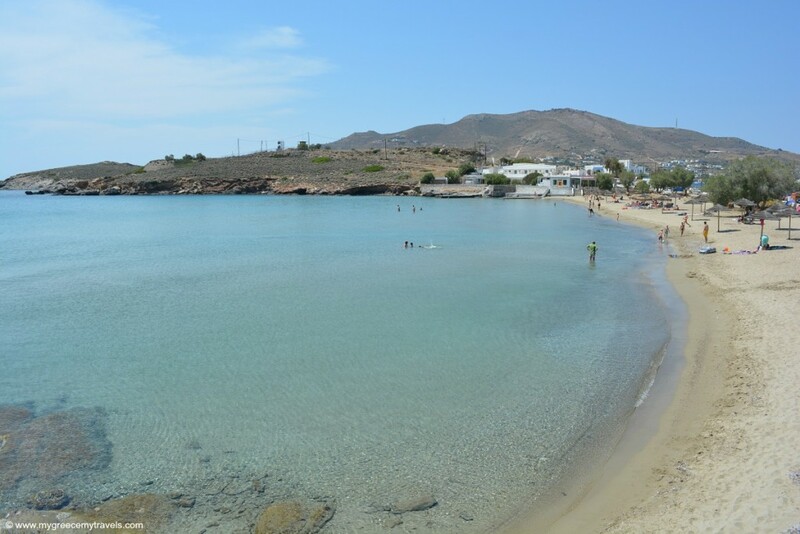 Some of the most popular are: Vari, Foinikas, Yalissas and Kíni, Possidonia and Dellagrazia. Dining was also a pleasure beach side. One of my favorite dining experience of all time in Greece? In Syros. At Allou Gialou. Don’t miss it! I’ll end with my favorite shot. It was “so Syros” to me. 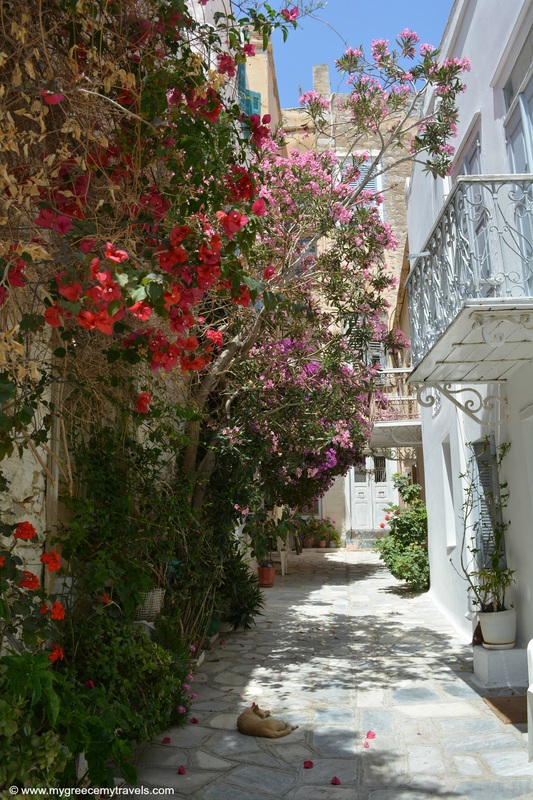 This was a colorful corner of Ermoupoli with lovely bougainvillea flowers and draped over the walls of such a lovely sunny marbled lane. What I really loved about this shot? The cat snoozing in the shade. For more on what to do in Ermoupoli, the captial of Syros check out my earlier post here. Check out my review on this beautiful property here. Allou Giallou | Kini Beach |2281 071196 | 25€ Check out my review dedicated to my dining experience here. 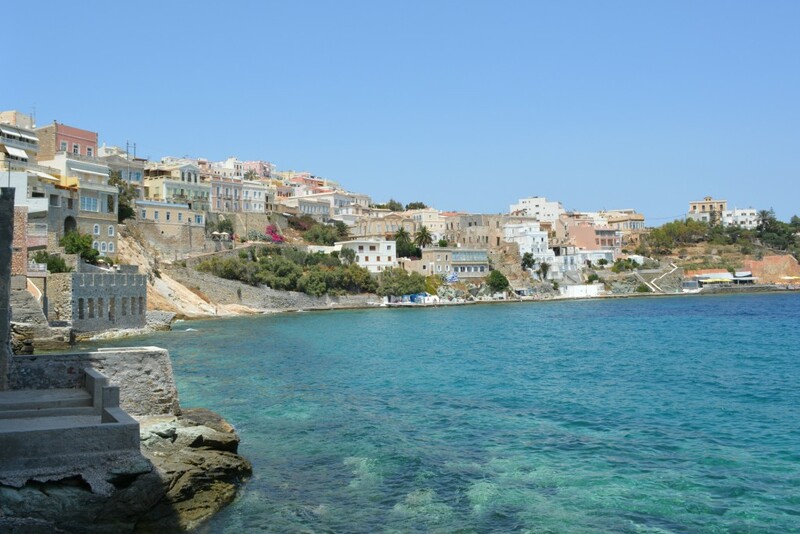 Have you ever been to Syros island? I love this shot. The contrast of red on those white walls is superb. Thanks, Anda! 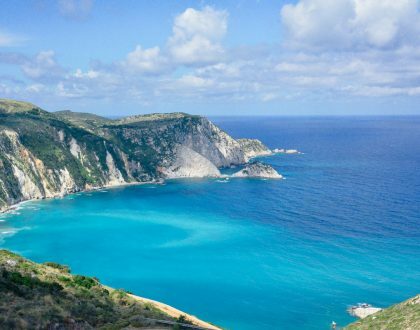 😀 Greece is a photographer’s dream I think! Ah, Syros is nice. You’d like it a lot. Thanks for commenting. 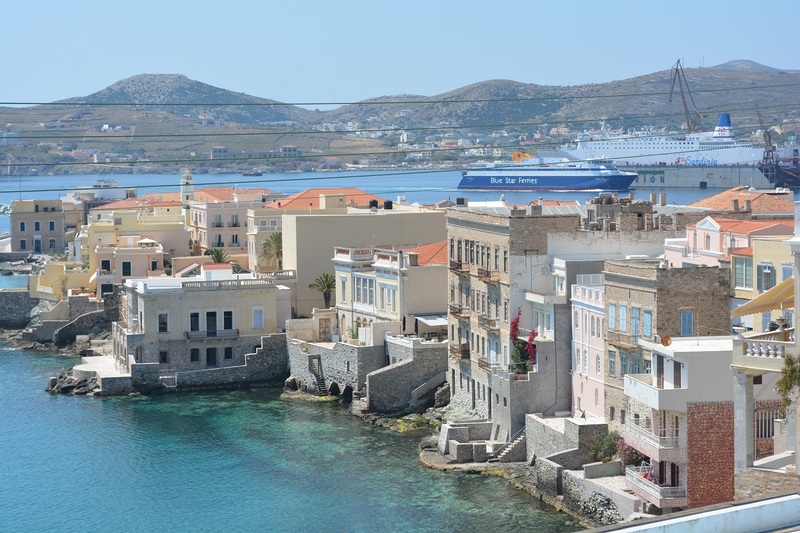 Ah, Syros is just so elegant! You’d love it, Eleanna. It’s a unique island.